These all photos I have shot during Womad Abu Dhabi 2009. Hi.. If u have Di di song from Khalid, post it here. lovely one to hear and enjoy the music. EVentually the remix ersion of Di di is available now. But the original is always original only. When I see palm trees here in UAE, I always remember my old days, when I was in India, and purchase the palm dates during Ramadan month from the Monda Market, Charminar, Afzalgunz areas in Hyderabad which all dates were imported only from the Gulf region. Almost every market and on every busy street we can find dates shops on moving carts during Ramadan in Hyderabad. 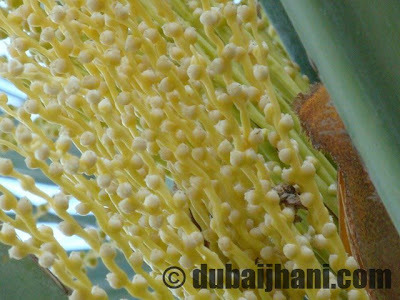 I have never seen palm dates growing cycle until I came to UAE and one day I thought to capture all these stages of the Palm dates growing to show my friends who also not seen this palm dates growing. Finally, I have done it… see the below pictures which I have been shot from last few months in different areas of Abu Dhabi in different times and different type of date trees and i feel wonderful while shooting these all photos. I would like to highlight here UAE is the highest Palm Tree cultivator in the World. Which region developed ? Telangana? or Seemandhra? From last few days one advertisement in media is made me attention for think more and googling, finally i decided to write this post.